When you have completed your studies at INOU you are eligible to apply for your degree certificate. When you have completed your program at INOU, you are eligible to apply for your degree certificate. Please make sure that your name should be correct, once the certificate is printed there is no change in the names. If you apply for a UG/PG/Research degrees have to be mentioned clearly in the online application form. After the semester exam, we will be issuing mark statement those mark statement should be attached for our confirmation to release your degree. 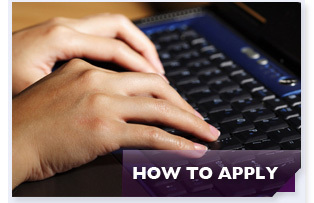 Your degree certificate will be sent to the address you write on your application. If you change it after you have applied, please contact us at controller@inou-edu.org as soon as possible. In case any certificate issued either by the Director or the Controller of Examinations has incorrect information or spelling mistakes, the same should be brought to the concerned officer within 10 days of the receipt of the concerned certificate or document. Delayed request for correction, may entail payment of penalty fees as US $ 5. Duplicate copies of Mark statement, Degree Certificate etc., may also be obtained by applying to the Controller of Examinations only and not from the INOU (Email: controller@inou-edu.org). Students enrolled in Academic Study Centers shall contact the Coordinators of the centre concerned for any information/clarification.